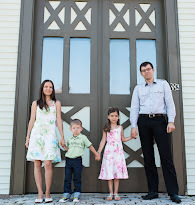 Welcome to the GMO Free 2013 Giveaway Hop, hosted by Real Houston Housewife and Hello Houston! Media. To introduce our readers to new GMO Free options in 2013, members of the Hello Houston! 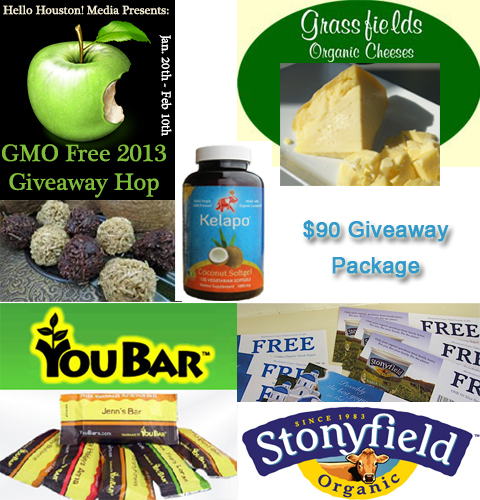 Media Blogger Team have come together to offer giveaways of their favorite GMO Free products. Be sure to visit Real Houston Housewife to enter to win one of the grand prizes, totaling over $400, sponsored by: Little Soya, Bob's Red Mill, Pure Indian Foods, Cultures For Health, Little Duck Organics, Amy's Kitchen, Alter Eco and Kurrenci After entering my giveaway below, please visit the other blogs listed under the Rafflecopter form to find the rest of the GMO Free giveaways. Who doesn't like a treat? I know I do! Today we're presenting you with some treats that you don't need to feel guilty about. Actually, these are pretty good for you. Our four awesome sponsors are Kelapo, YouBar, Grassfields Cheese, and Stonyfield and we are thrilled with all of these wonderful companies. Kelapo produces high quality, certified organic fair trade coconut oil which we have reviewed in the past. They also make Coconut Oil Softgels which provide a daily dose of good fats that can do wonders to your skin, hair, nails, and overall health. These are great for breastfeeding moms, we can all use a little extra nutrients! Their coconut macaroons are scrumptious and great with a cup of tea for a special occasion. See our review. YouBar is a unique experience that let's you create your own, customized snack bars. You choose exactly what you want in your bar from the provided ingredient choices. You can also buy pre-made bars such as Honey Cashew, Training 33 (protein and calcium), cookie dough, Great Date with Chocolate, or Goji Macadamia. All the bars have just a handful of real food ingredients and no sugar! Use code ECOBABYZ for 10% off your purchase. See our review. Grassfields Cheese is a fifth generation, family-owned and operated farm in Michigan. Though they sell their delicious goodies to locals, you can order their grass fed cheeses in their online shop. Know a cheese lover? They have the perfect gift - the Cheese of the Month Club. See our review. Everyone is familiar with Vermont based Stonyfield Farms. Their organic dairy products are widely available throughout the country and I have bought these on many occasions. Stonyfield yogurt is something I do not hesitate to give my kids, especially when we happen to be traveling and most conventional stores are loaded with so much junk, it's nice to have Stonyfield products so accessible in nearly every store no matter where you go. See our prior review. Hello Houston Media and the GMO Free 2013 participating bloggers are not responsible for sponsors who do not fulfill prize obligations. The cheese sounds really good! The cheese and stonyfield coupons! I am excited about all of it, but especially the Kelapo gels! The Free Stonyfield product coupons! Thanks! I would love to try grass fed cheese!! I am most excited about winning the Stonyfield free product coupons. I am excited about Grassfields organic cheese! I love a good macaroon! I'm really excited about the Stonyfield coupons! I am most excited for the coconut macaroons! definitely excited about the cheese! The stonyfield and cheese items!! They all sound great - but I think the Stonyfield coupons and macaroons sound great! I think I'm most excited about the cheese. I'm origianlly from Michigan and would love a taste of home. Tough choice the Stonyfield products would be great but I really want to try those coconut macaroons. I'd love them all but the Sonyfield coupons would be great. most excited about grassfields becuase i never ehard of them before! the Grassfield cheese is interesting! I'm excited to try the macaroons. I'm most excited about the YouBars. Im excited about the coconut macaroons. I am excited about the coconut macaroons! I'd love to try the grass-fed cheese. Thanks! I like the Stonyfield products. I'm most excited about the Stonyfield coupons. Yum!! I am most excited about the Stonyfield Coupons! Oh, what an awesome giveaway - love it all! I am excited about the Stonyfield coupons! I love, love, love macaroons. All prizes are wonderful though! Stoneyfield coupons, my kids love them! i'm excited about all of it but i really love macaroons!